It’s no doubt that the 2018 Porsche 718 Boxsteris one of the most exciting and iconic cars on the Lowcountry roads. It’s powerful Porsche rumble under the hood is made possible by the vehicle’s turbocharged flat-four cylinder engine, which yields 280 lb.-ft. of torque. With this mighty engine, the Boxster can accelerate from 0 to 60 in just 4.5 seconds and reaches a top track speed of 170 miles per hour. Available in both PDK and six-speed manual, the Porsche 718 Boxsteris a roadster to admire with its unparalleled power and undeniable sharp aesthetic. Design wise, every detail of the Porsche 718 Boxsteris immaculate. The interior follows through with the exterior’s consistent emphasis on horizontal lines and features pristine functionality. Leather trim covers the storage compartment and shows off the perfectly stitched lines. A Porsche Sport multifunction steering wheel pulls everything together. A key element inside the new 718 Porsche Boxster is the high-resolution, 7-inch color touchscreen with a glass cover, proximity sensors and multi-touch gesture control. The sound system from Bose or Burmester is optionally available if desired. 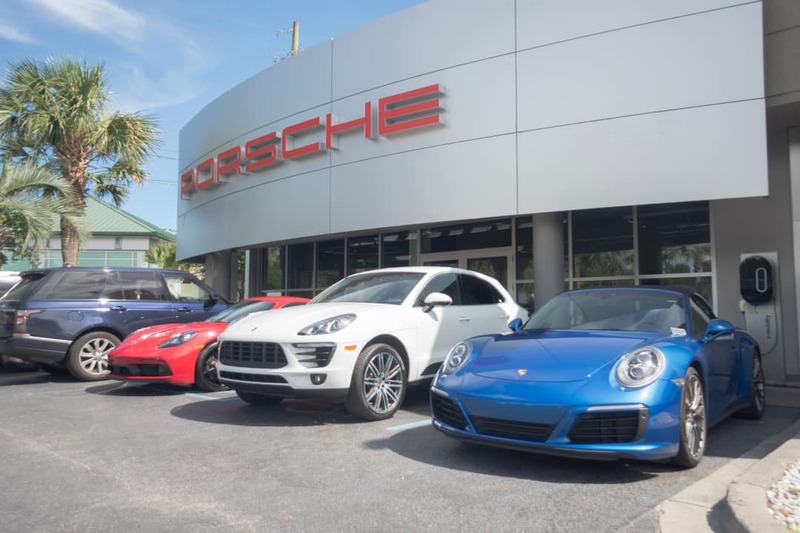 Test drive a 2018 Porsche 718 Boxster today at Baker Motor Company’s Porsche Charlestonin West Ashley.